The Willow Island Hydroelectric Plant project located on the West Virginia side of the Ohio River near St. Mary’s, W.V., will add 35 Megawatts (MW) of new, renewable generation to the area. Upon completion, the plant will divert water from the locks and dam through a powerhouse to generate an average annual output of nearly 239 million kilowatt hours (kWh). The new estimated 302,739-square-foot facility is being constructed to comply with the U.S. government’s mandate for renewable energy. 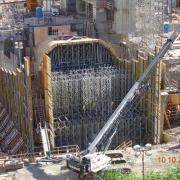 It will include an intake approach channel, a reinforced concrete powerhouse and tailrace channel. According to American Municipal Power (AMP), the powerhouse will house two horizontal FERC-rated 17.5 MW, bulb-type turbine and generating units with an estimated total FERC capacity of 35 MW of new, clean energy at a gross head of 20 feet. 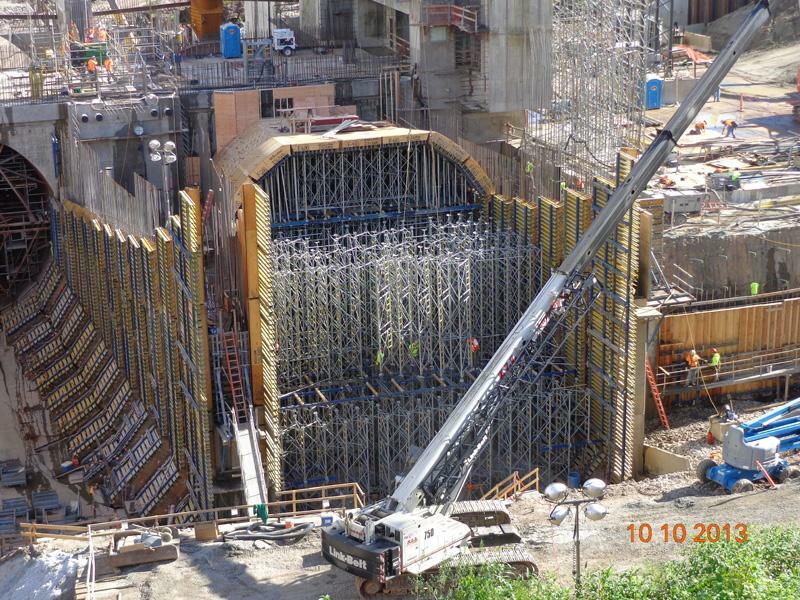 Doka was brought onto the job because of the company’s prior experience on hydroelectric plants as well as all the workable solutions to provide safe and cost-effective concrete construction. The engineered systems had been proven to work on similar projects such as the Meldahl Hydroelectric Project, making it clear on where and how to use best practices for the formwork used on this project. The project team has employed the use of Doka’s Super Climber self-climbing core system, Doka’s newest member of its multiple climbing formwork systems. Use of this system, along with weekly safety meetings with the entire project team, daily “huddle” meetings with each crew, and four full-time onsite safety people are helping to keep the workers safe. The Super Climber next generation in self-climbing formwork and working platform technology for high-rise cores is designed with single-stroke cylinders that support and climb all formwork, allowing all of the formwork for an entire story to be raised independently of the crane. Climbing can be completed in one singular smooth movement, and service loads can stay on the platforms while they are being raised so less storage space is needed on the ground. All operations can be carried out safely and quickly on the large, fully enclosed formwork workspace, because the climbing formwork system is anchored to the concrete at all times and the entire “site” is repositioned with just one lift. This project involved many complex featuress including tear drops, draft tubes, stay cones, intake beams, trash rack walls, emergency closure gates, J-Walls – i.e. retaining walls, an access shaft, a base mat with more than 50 individual pours, a power house, tail race, lift key walls, staircases as well as others. The Willow Island project has also employed innovative techniques such as using hard fill such as soil cement and roller compacted concrete (RCC). One of the key challenges in construction of a facility such as this is aligning secondary steel components into the structure to prevent water inference with the construction process. In addition to innovative techniques, the Willow Island Power Plant Site Development Project is also notable for its significant boost to the local economy. 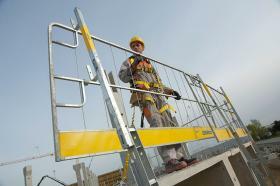 It is responsible for creating nearly 400 construction jobs throughout the project and seven to nine permanent jobs. Thank you for your interest - Hydroelectric facility soars high with Super Climber. Thank you very much for your interest - Hydroelectric facility soars high with Super Climber.